Cloud computing is at top of mind of most entreprises and this interest is driven by a desire to significantly improve business and IT agility, and lower IT costs. Supporting the business in the face of constant change, but with less resources and more economically is a real challenge given this tough economic climate, along with the constantly changing business requirements. Business forces have caused IT to try to figure out how to provide flexible services faster, but, without large, up front investments. KSoft has a number of cloud solutions for providing the necessary flexibility and responsiveness needed to achieve significant business value. The service includes a detailed approach to understanding business goals and objectives while aligning technical capabilities that constitute a business workload. KSoft forms the basis of a decision model that determines operational characteristics and calculates a best fit deployment plan in alignment with industry best practices. The result is an intuitive migration roadmap that will accelerate migrations either passively through manual efforts or actively by leveraging integrated automation capabilities to migrate workloads to a fit-for-purpose destination. Building and deploying a cloud is a lot more than implementing a “cloud stack” or “cloud in a box” solution. A cloud implementation touches on a wide range of issues including financial, service management, storage, and much more. Cloud Build Services is a comprehensive series of consulting, integration and support services which enable clients to successfully deploy a cloud while maintaining operational compatibility and transforming their existing infrastructure for the delivery of an agile IT-as-a-Service model. KSoft Secure Private Cloud is a pre-integrated, cloud management environment that transforms your data centre operations into a secure and highly automated infrastructure delivering the transparency, expediency and agility businesses require. Secure Private Cloud is pre-integrated with Stealth Solutions for Network Security and ensures compliance and risk management while reducing overall network and administrative complexity. Our flexible, out-of-the-box implementation capability will meet most standard IT process requirements reducing any process change to where it’s needed – to streamline operations and speed up deployments. 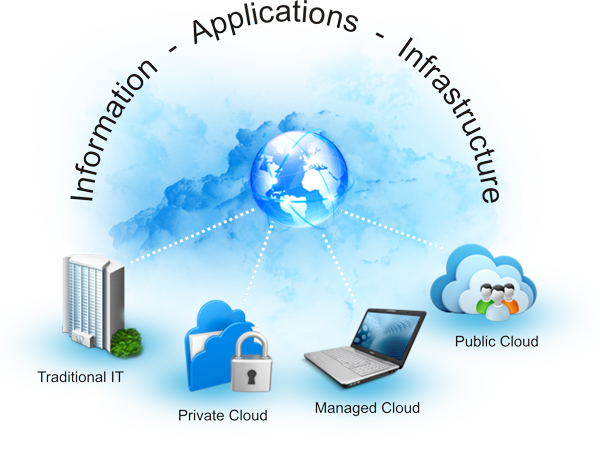 KSoft Private Cloud Services provide a flexible computing environment consisting of both virtual and physical servers in either a shared or non-shared (private cloud) for customers who require server capacity on a subscription basis. Under these services we configure, operate, monitor and maintain all network, server and storage hardware underpinning the offering. We also provide a library of Operating Systems (OS) and middleware software that your clients can choose, to develop and run their applications. Additionally each client is provided a self-service portal to allow them to enter requests for service, search knowledge databases, self-provision the compute environment, view information about their infrastructure and enable or disable monitoring.